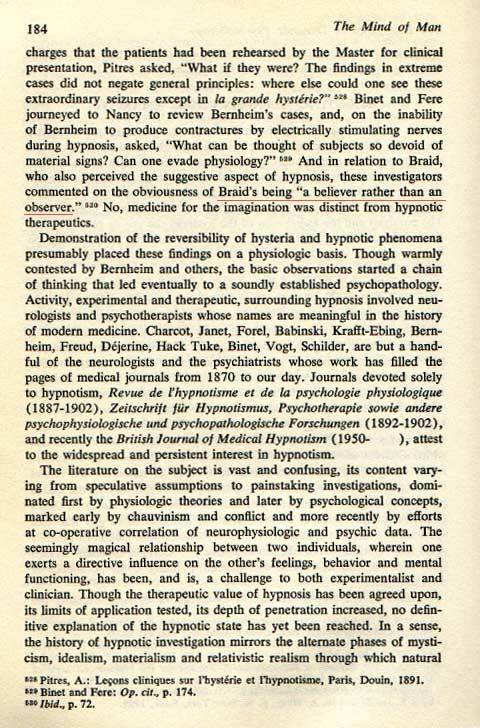 If the deep unconscious is the place of integration of nervous signal, and it was told not integrate signals, then it is logical that electrical stimulation of nerves during hypnosis would produce no contracture. These are things we can't know. What this will say is that we can know we can effect them from the unconscious. Berhiem simplified the terms, commenting on the general nature of interacting directly with the unconscious. 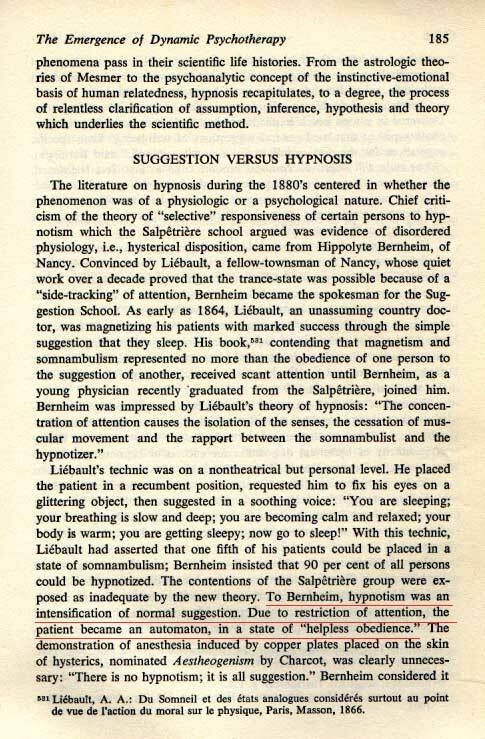 The exact reason for his success at creating "helpless obedience" is very likely the inverse reason our psychologists cannot bring themselves to utilize somnambulistic states with induction by hypnotic techniques.